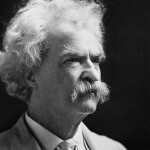 I hear and understand your bafflement at Twain’s story “The Celebrated Jumping Frog of Calaveras County.” In true Twain Fashion, the story seems to be a rambling of sorts. Additionally, the structure does not follow the neat beginning, middle, and end with a clear resolution tied neatly with a clear thematic bow that we have come to expect from fiction. Confusion of course! This confusion is part of the fun that Twain had with his audience. He makes things sound deceptively simple. Essentially, it’s a story about a guy telling the story about a guy who tells a story about a frog. But, oh it is so much more! Let’s use our rhetorical appeals in narrative notes to help us explore the the connection to “The Lowest Animal,” Realism as a literary movement, and our universal concept: JUSTICE. CENTRAL THEME: Why does the first narrator tell the story of his encounter with Simon Wheeler? Why does Simon Wheeler tell the story of Jim Smiley? Compare the theme(s)? What does each story SATIRIZE? ETHOS: Notice the difference between the two narrators’ speech, point of view, and stories. Why does each tell their story? What is the difference between the language of these two stories and how does the difference in dialect or vernacular affect our impression of each narrator? Which do you find more credible and Why? PATHOS: Note the HYPERBOLES in the abundant imagery and figures of speech. What emotions do these inspire from the reader? More specifically how does it create a comic tone and reveal humor? LOGOS: Think about the structure of the story. What are the stories’ plots? How does the resolution of Wheeler’s story help us understand the relationship between “COMPETITION” and “JUSTICE“? How does the outcome of the first narrator’s story do the same thing? CALL TO ACTION: What is the outcome of the frog race and what does this competition reveal about Twain’s views on the relationship between “COMPETITION” and “JUSTICE”? If you still need more help check out this LEGO Adaptation. For the past two days, Mexican American Literature and Culture have discussed the value of Ethnic Studies after reading the articles, “Why Ethnic Studies is good for California, and America,” Rift in Arizona as Latino Class Is Found Illegal & “Why Long Beach Needs Ethnic Studies“. By doing so, #mexamlitgghs scholars practiced speaking academically, thinking critically, and understanding an issue from diverse points of view. Although, yesterday’s Socratic Seminar was a little squeaky and awkward (as all discussion is when groups are getting to know each other), today I finished class elated at the depth of thinking, maturity of behavior, and the overall commitment to respect that my students exhibited. I felt dizzy with excitement….It was BEAUTIFUL and everything a teacher hopes for in a class. Thank you for a wonderful Socratic Seminar #msalbasclass #mexamlitgghs! It was an honor and a privilege to be a part of the conversation. I felt a little like I was sitting in a college classroom again! Can’t wait for tomorrow! Week’s Objectives: After CLOSE READING reading Mark Twain’s The Celebrated Jumping Frog of Calaveras County” along with “The Lowest Animal,” students will be able to discuss views of JUSTICE in Socratic Seminar Discussion and write a paragraph that analyzes REALIST FEATURES and evaluates arguments and use of ethos, pathos, and logos as support. * What ideas about JUSTICE are conveyed through both texts? * How does Twain use the rhetorical triangle to communicate REALIST VIEWS AND PHILOSOPHICAL ATTITUDE? 2.23 DAY 1: Why Ethnic Studies Socratic Seminar: Socratic Seminar Evaluation Guide. 2.24 DAY 2: Why Ethnic Studies Socratic Seminar: Socratic Seminar Evaluation Guide. Week’s Objectives: After reading Mark Twain’s “The Lowest Animal” students will be able to write a paragraph that analyzes and evaluates the author’s philosophical attitude and use of ETHOS, PATHOS, and LOGOS as support. * Describe Mark Twain’s background. * Explain how the author’s use SATIRE and IRONY in addition to the rhetorical triangle helps to convey views. English 3P Honors! Read this: Especially if you went on the #AVIDTrip this weekend! Week’s Objectives: After reading, Frederick Douglass’s “Narrative of the Life of Frederick Douglass” and “What to the Slave is the Fourth of July,” and Mark Twain’s “The Celebrated Jumping Frog of Calaveras County” along with “The Lowest Animal,” students will be able to write a paragraph that analyzes and evaluates arguments and use of ethos, pathos, and logos as support. 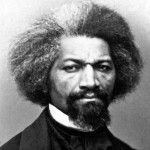 2.17 Progress Check on Frederick Douglass: After reading, Frederick Douglass’s “Narrative of the Life of Frederick Douglass” and “What to the Slave is the Fourth of July,” students will be able to write a paragraph that analyzes and evaluates the abolitionist arguments and use of ethos, pathos, and logos as support. 2.18 Read Rift in Arizona as Latino Class Is Found Illegal & “Why Long Beach Needs Ethnic Studies“: What is the author’s opinion? Do you Agree or Disagree? Why? 2.19 Close Read Rift in Arizona as Latino Class Is Found Illegal & “Why Long Beach Needs Ethnic Studies“: What is the author’s opinion? Do you Agree or Disagree? Why? 2.20 Prepare for Why Ethnic Studies Socratic Seminar: Socratic Seminar Evaluation Guide.Cornell Notes Template Notebooks DUE! Week’s Objectives: After reading, Frederick Douglass’s “Narrative of the Life of Frederick Douglass,” and Mark Twain’s “The Lowest Animal” students will be able to write a paragraph that analyzes and evaluates the abolitionist arguments and use of ETHOS, PATHOS, and LOGOS as support. but be here ON TIME!